A great night for Manchester Met apprentices at the Made in Manchester Awards! 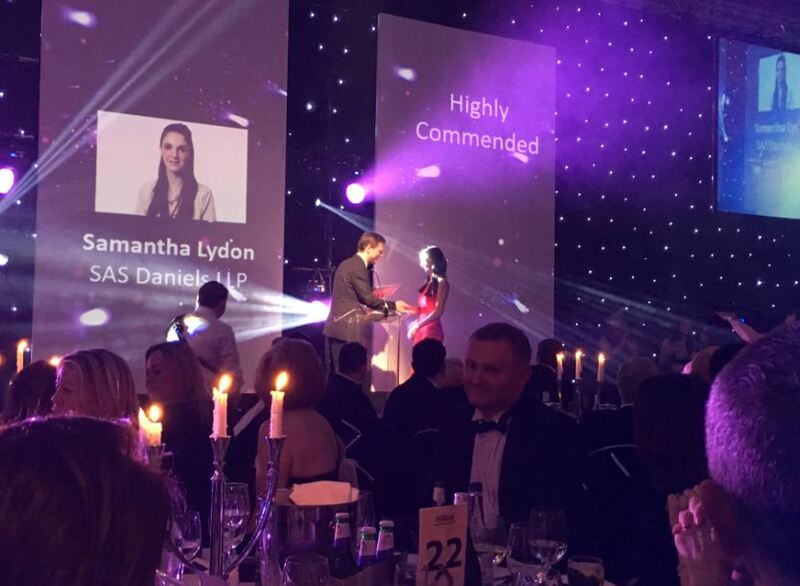 Manchester Metropolitan University were well represented at this years' Made in Manchester Awards, held at the city's Hilton Hotel, where Sam Lydon, a Legal Services Apprentice with SAS Daniels, was awarded a 'Highly Commended' prize. It was a double celebration for SAS Daniels, who had a second nomination in the same category with Dominic McGovern. Sam received her award on stage amongst celebrations from colleagues and the Manchester Met Legal Apprenticeships team who were also in attendance.